Here are the top 5 highest rated HIPAA books on Amazon that are available in earth-friendly digital Kindle format. We thought it would be good to celebrate Earth Day by sharing these with you, and encouraging everyone who hasn’t gone paperless yet to consider doing so. Note that in most cases, buying the book in Kindle format is cheaper than buying the same book in print form. Handy tip for saving money, or justifying the cost of a Kindle if you don’t already have one! 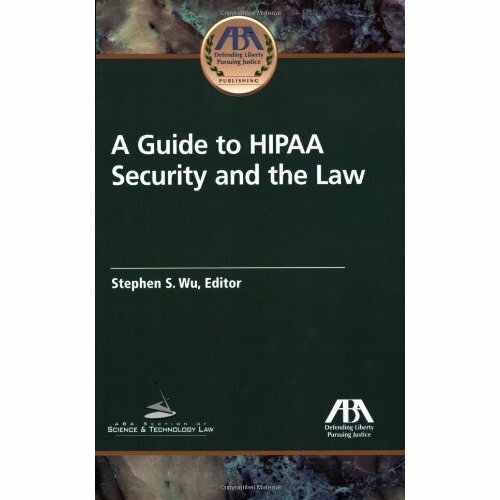 This book is a one-stop resource for HIPAA privacy and security advice that can immediately be applied to any organization’s unique situation. It defines what HIPAA is, what it requires, and what can be done to achieve and maintain compliance. It describes the HIPAA Privacy and Security Rules and compliance tasks in easy-to-understand language, focusing not on technical jargon, but on what organizations need to do to meet requirements. Anyone preparing an organization for HIPAA laws will receive expert guidance on requirements and other commonly-discussed topics. 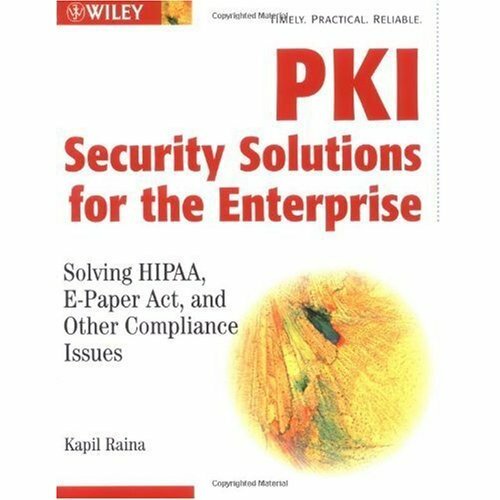 The book enables organizations determine how HIPAA will impact them, regardless of whether they are a HIPAA Covered Entity. This publication discusses the HIPAA Security Rule’s role in the broader context of HIPAA and its other regulations, and provides useful guidance for implementing HIPAA security. At the heart of this publication is a detailed section-by-section analysis of each security topic covered in the Security Rule. This publication also covers the risks of non-compliance by describing the applicable enforcement mechanisms that apply and the prospects for litigation relating to HIPAA security. 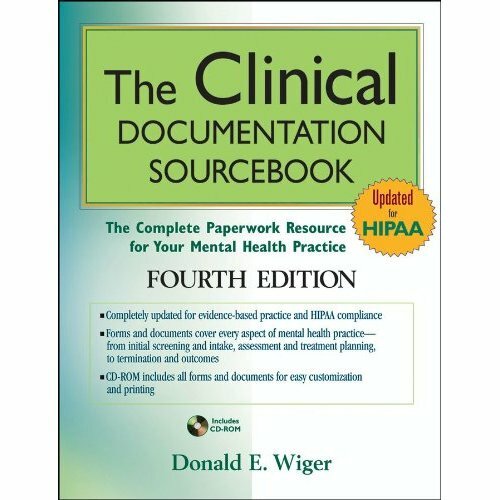 The paperwork required when providing mental health services in the current era of third-party accountability can be quite daunting. The sourcebook is designed to help clinicians provide this documentation in a form that satisfies managed care requirements and maximizes prospects for approval of payments. Includes ready-to-use sample forms that meet the documentation requirements of virtually every managed care organization. The sourcebook also provides properly completed examples of each form, as well as a computer disk which contains word-processing versions of every form in the book. 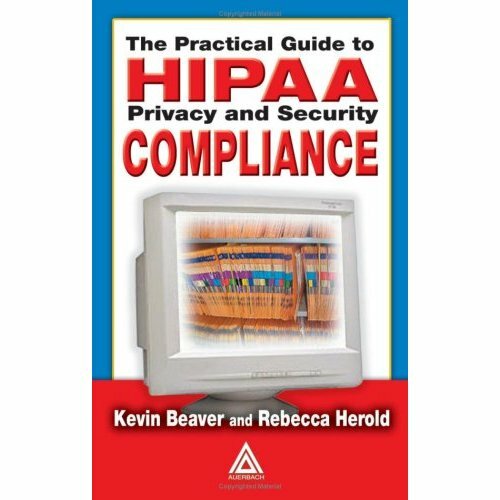 The HIPAA Survival Guide attempts a “forest from the trees” overview of the HIPAA Privacy and Security rules, and also includes a general overview of the HITECH Act as it pertains to these rules. The genesis of these rules is covered in the Background section. The HIPAA Survival Guide only targets a subset of covered entities, namely healthcare providers, focusing mostly on small providers, since this group will clearly be the most challenged by new laws and regulations. 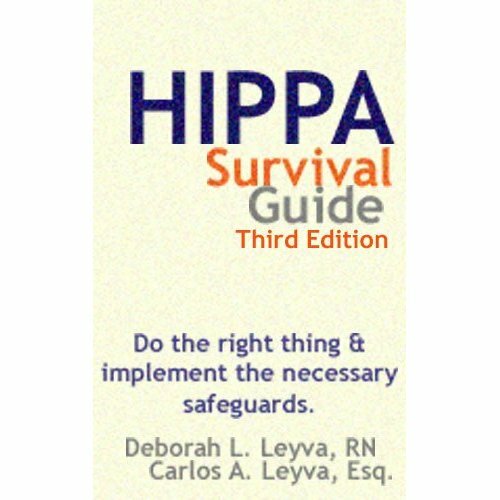 The Third Edition of the HIPAA Survival Guide updates various substantive text of the first two editions and adds completely new material. The HITECH Act has indeed proven to be transformational. In order to deal more effectively with its changing regulatory landscape we have decided to release an updated version available on Amazon’s Kindle. We’re really not sure how good this could be, but cmon — a steamy romantic novel set in the wild world of HIPAA compliance? Yes please! Is it a romantic comedy? Yes! Is it a legal thriller? Yes! Margaret Nicks, a new graduate with a couple of degrees in health information management, becomes the Acting Director of Health Information Management at a hospital when the Director suffers a stroke. She quickly finds out that her new duty of getting the hospital HIPAA compliant won’t be easy. But she hires a consultant that she had met at a Cross Country seminar. Follow their struggles with the hospital doctors, staff, and administration to get them into compliance. They are attracted to each other, but legal ethics prevents him from dating her. After the compliance date, a hospital employee commits identity theft and blames it on the hospital’s failure to enforce HIPAA. Management tries to hang Margaret out to dry to save the hospital administrator and the governing board from liability. The U.S. Attorney indicts her under the theory of corporate criminal liability. So she hires the consultant, who is also an experienced defense attorney. Can he keep her out of federal prison? Will they end up an item after she is no longer his client? 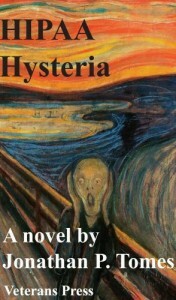 Don’t have a Kindle yet? Get one at a discounted price on Amazon here.